I was updating my EQ7 fabric files today, and the January fabric is a line from Basic Grey for Moda called Fresh Cut. I think it’s one of the prettiest fabric lines I’ve seen in a long time, and one of the few that would actually tempt me to buy the whole line. 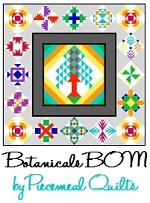 Imagine my delight when I realized it was the featured fabric in Electric Quilt’s design challenge! The challenge ends tomorrow, so I didn’t have a lot of time to go out and design a new block. That was not a requirement – I could have colored an existing block – but I figure if it’s a design challenge, I’d like to try to offer an original design. When I looked harder at the fabric line, however, I realized I already have an original block that would work really well with it. 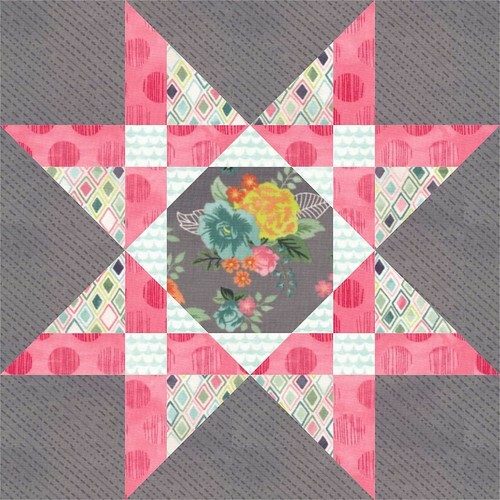 The block needed to have several components so it could feature at least four different fabrics (my requirement, not theirs), and I wanted a block that had a single larger space that could highlight one of the larger scale floral fabrics. My original Anxiety block fit the bill perfectly, don’t you think? I love the combination of retro floral prints with more contemporary geometrics, and the sweet, soft but not childish colors make me think Spring – something I really appreciate, since I’m in southern Wisconsin and it’s been snowing for the last 20 hours. 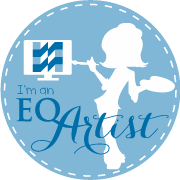 Be sure to pop over to the EQ blog post and check out the links at the bottom to all of the beautiful blocks. Also check out Moda’s Fresh Cut line – click here to see a PDF of all of the fabrics. Your block and that fabric were meant for each other! It’s perfect. 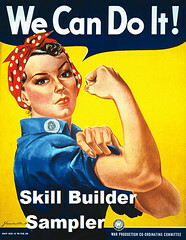 I love your skillbuilder series. I noticed today that the widget is broken. It still takes the user to your site, but the picture doesn’t show up – it shows up as a Photobucket error. Let me know if there is anything I can do. Thanks.